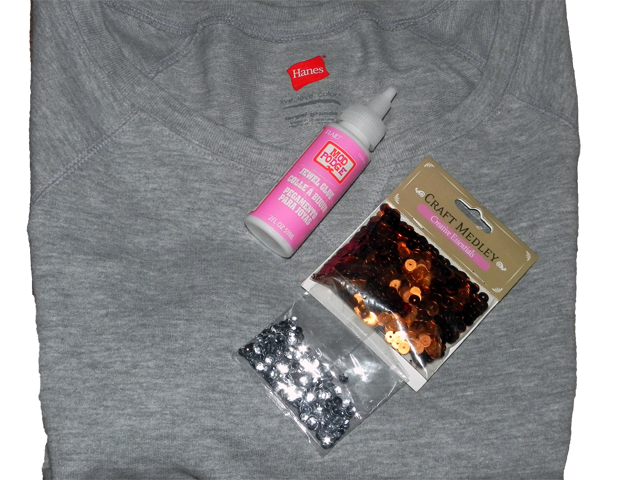 You'll need: A plain sweatshirt (this one like the one I used in myDIY leopard print sweatshirt came from Walmart for only $9), jewel glue, sequins. I started by applying a sequin using jewel glue to mark the center of the upper lip first, and then I worked my way out from there. The upper lip and "teeth" (?) are done. I wanted to keep it sort of messy looking, like the inspiration, so definitely don't go for perfection here. Now on to the bottom lip! Again, don't go for perfection. I just eyeballed the design and haphazardly applied sequins. Easy enough, right? And done! Following the glue's directions, I turned the shirt inside out and ironed the back of the design to set the glue. So cute and casual, but will look great dressed up too! Woah, So many good things you can do with this. Wow, so cute! 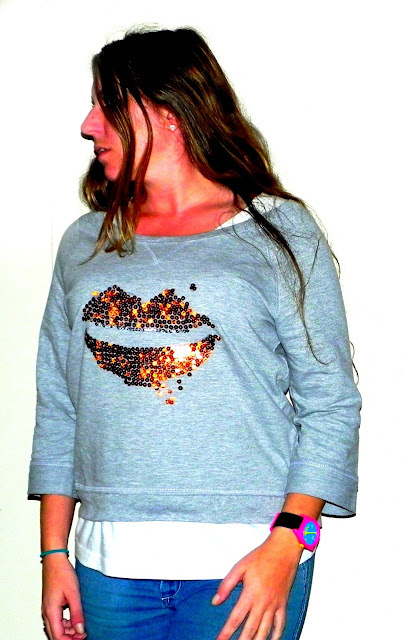 I didn't know they did their own lips sweater version. I'm now dying to have one of my own!!! This turned out great and looks pretty do-able! I love this idea!! Perfect.. so cute!